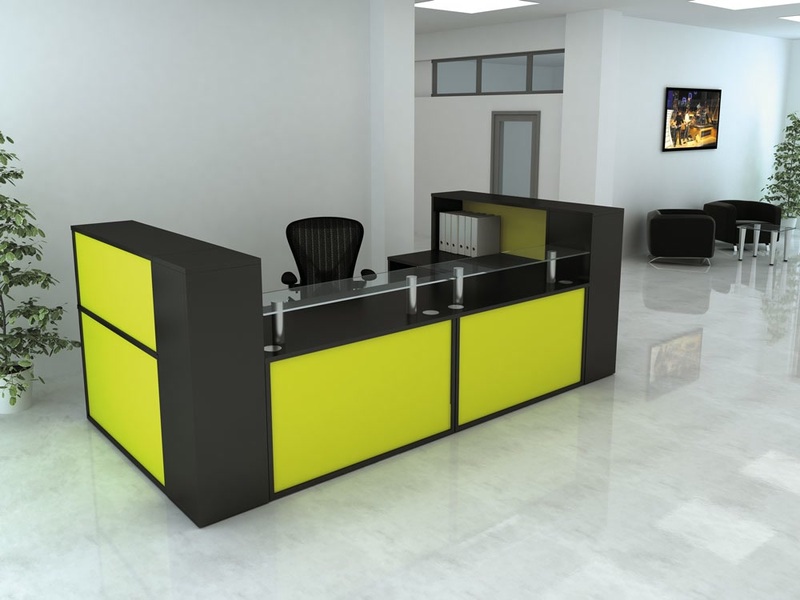 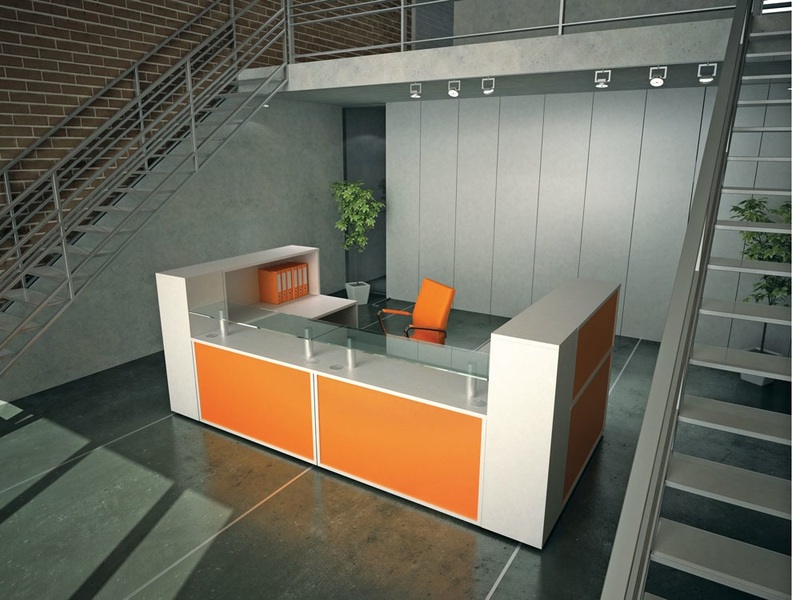 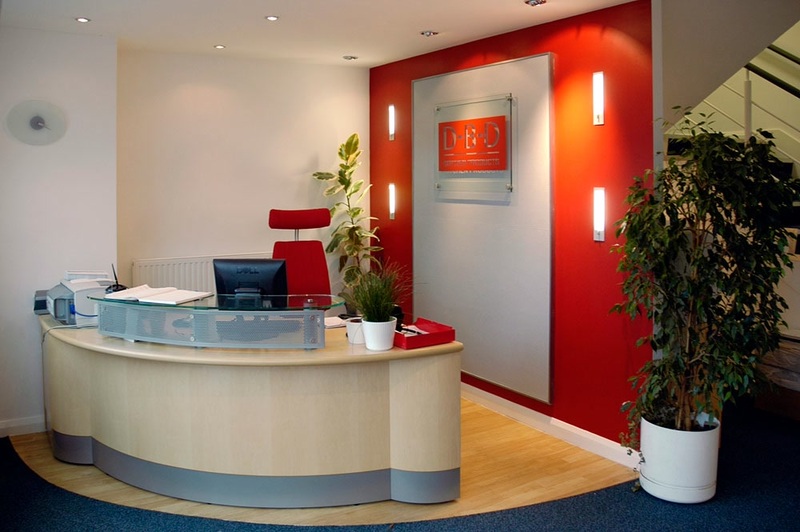 The Designer Office offers a full compliment of reception desks, consisting of a modular base and top desk units, supplied in many different styles, sizes, designs & finishes. 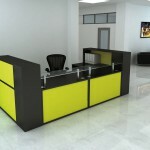 Added extras such as paper storage, CD racks, key lockers and pedestals all available. 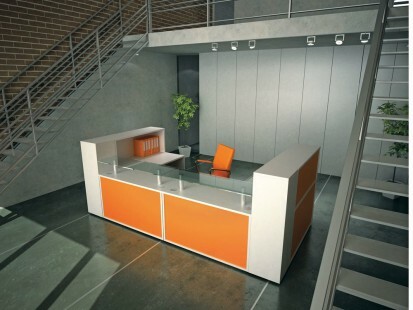 Space is money as property and letting prices have risen to new highs in recent times. 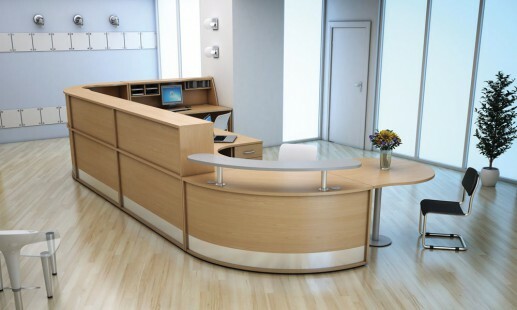 With this so has the demand for more compact reception areas. 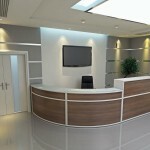 So with the advance in technology and the common use of flat screen monitors the need for deep reception areas decreases. 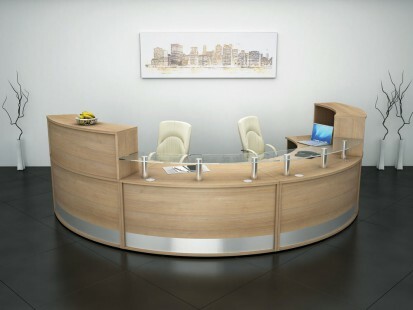 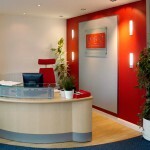 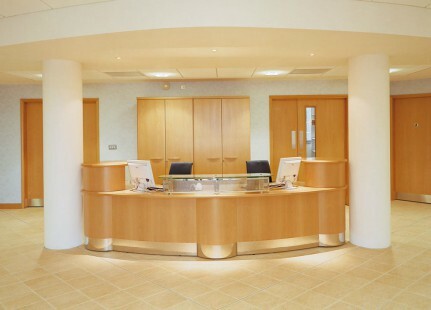 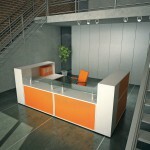 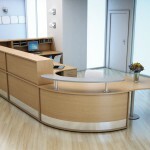 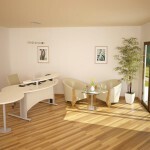 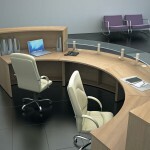 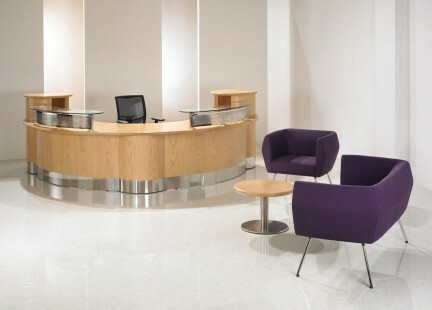 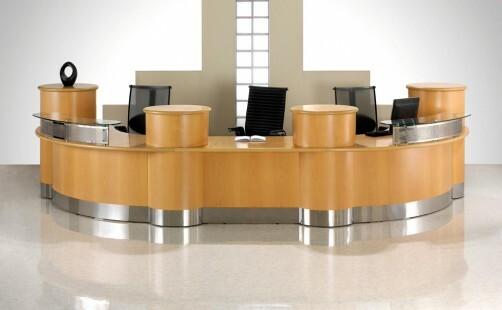 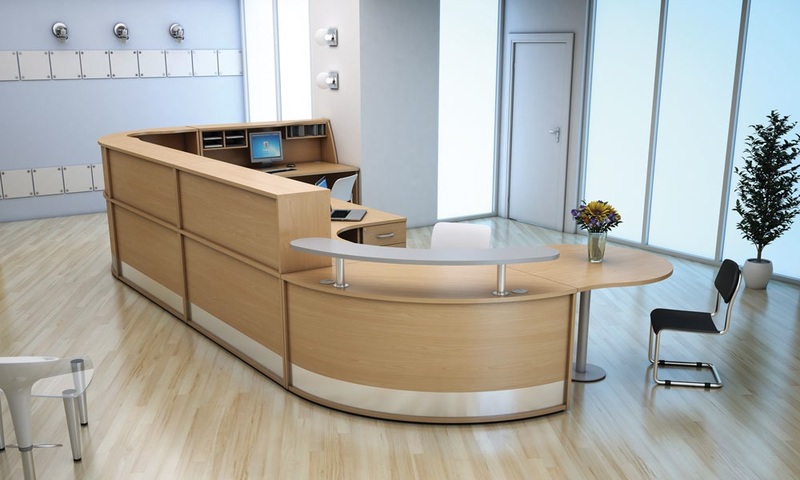 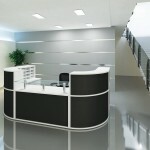 So we can supply a Low Cost space saving solution for your reception desk using our Receptive range. 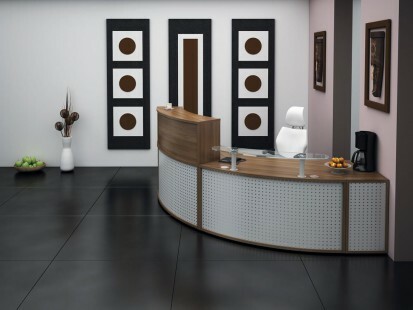 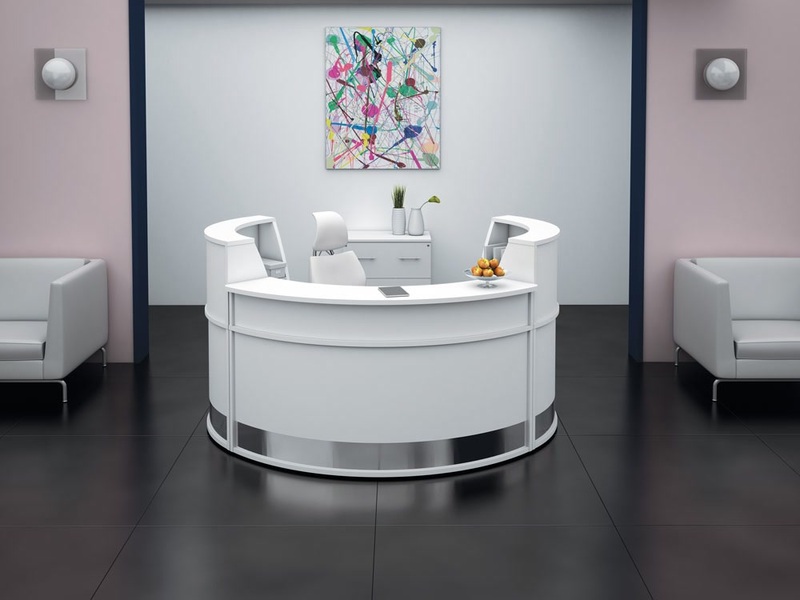 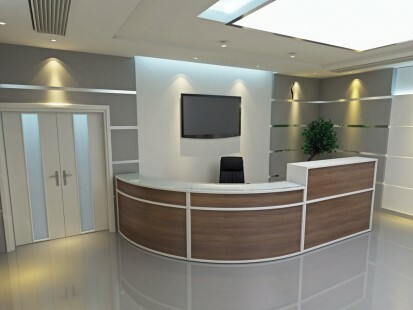 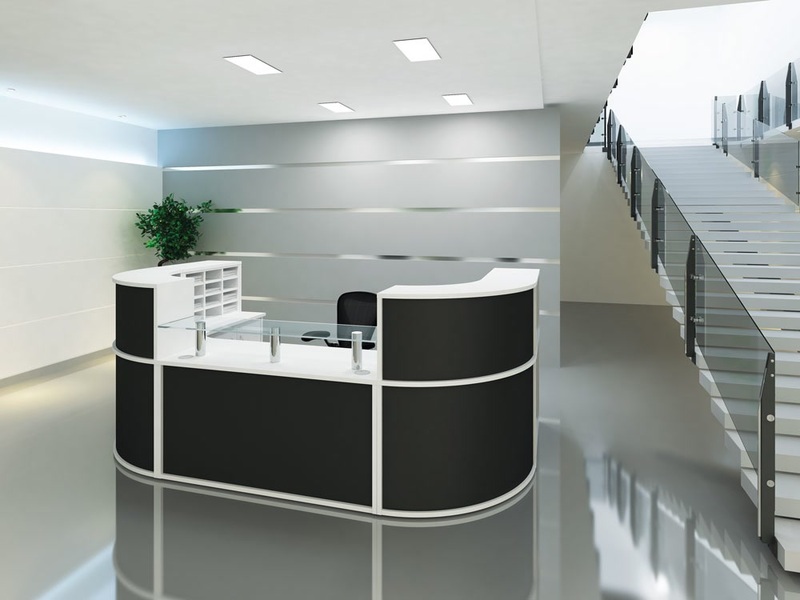 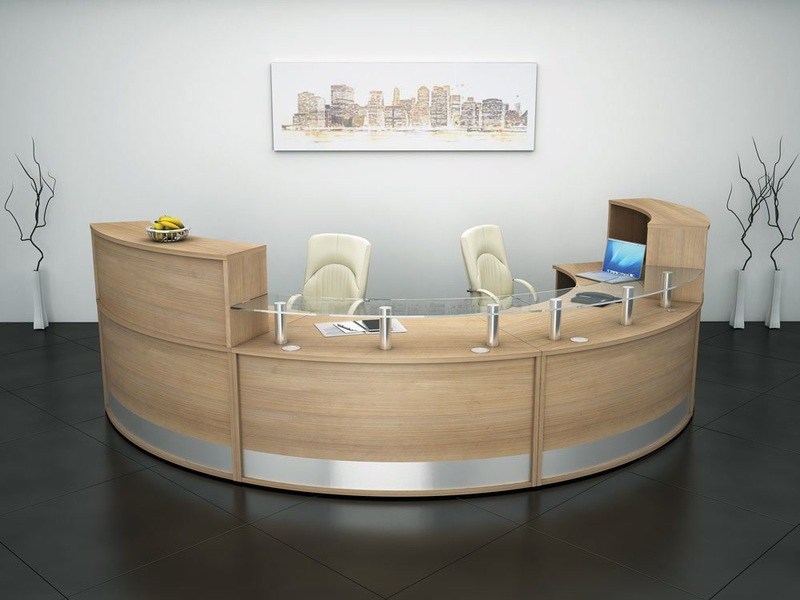 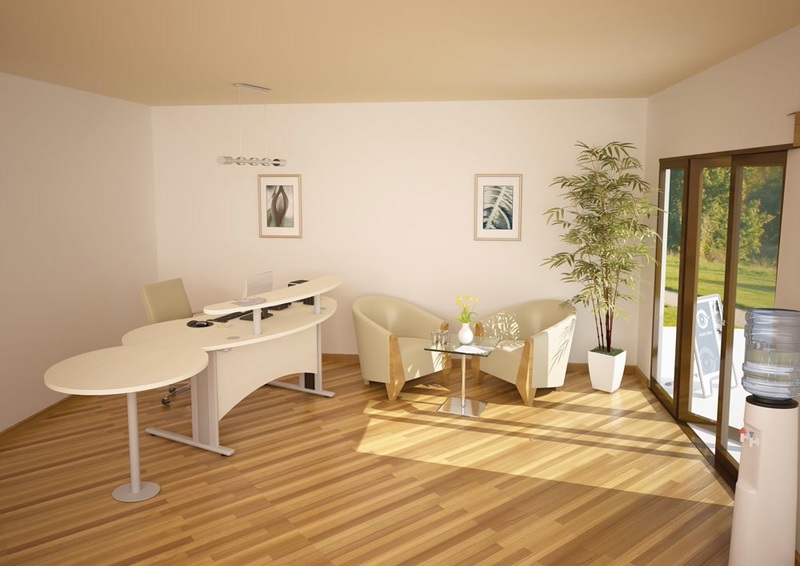 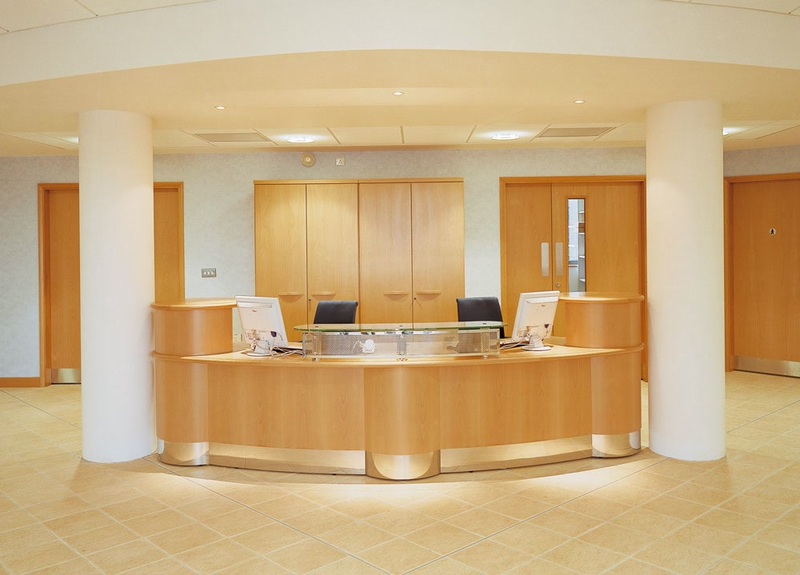 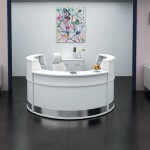 As with the full range of office furniture available from The Designer Office, the full reception desk range shown here gets delivered and installed completely free of charge. 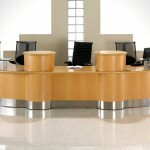 That is on top of our Huge Discounts we give on the Receptive range. 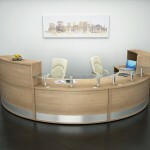 Sometimes up to 50% off the RRP set by the manufacturer. 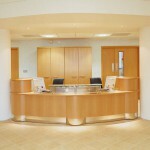 There are many worktop sizes, colours and designs to choose from. 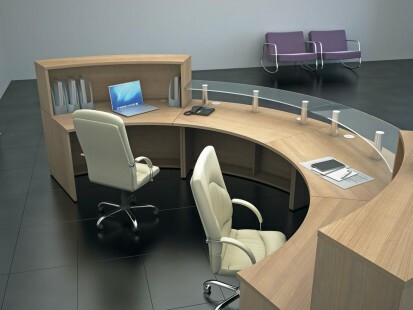 So view the range online or give one of our furniture managers a call today on 01902 88674 to find out more.